This cake turned out much simpler than I thought it would be. 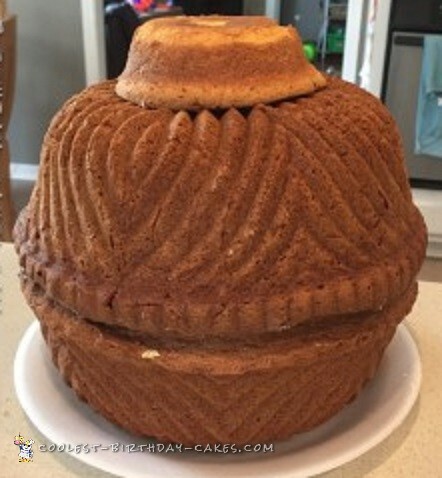 I used two bundt pans stacked together with the bottom one inverted to create a ball like shape. 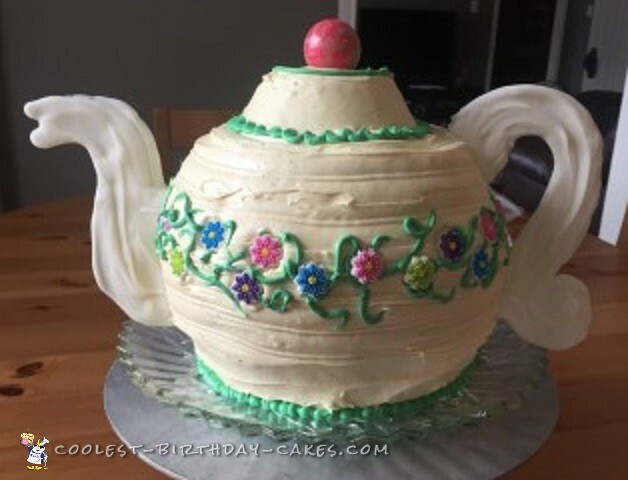 I used a tiny cake pan for the top of the teapot. I frosted the top and the ball in buttercream frosting. I printed a clip art graphic of a teapot off the computer and laid a piece of parchment paper of the top. 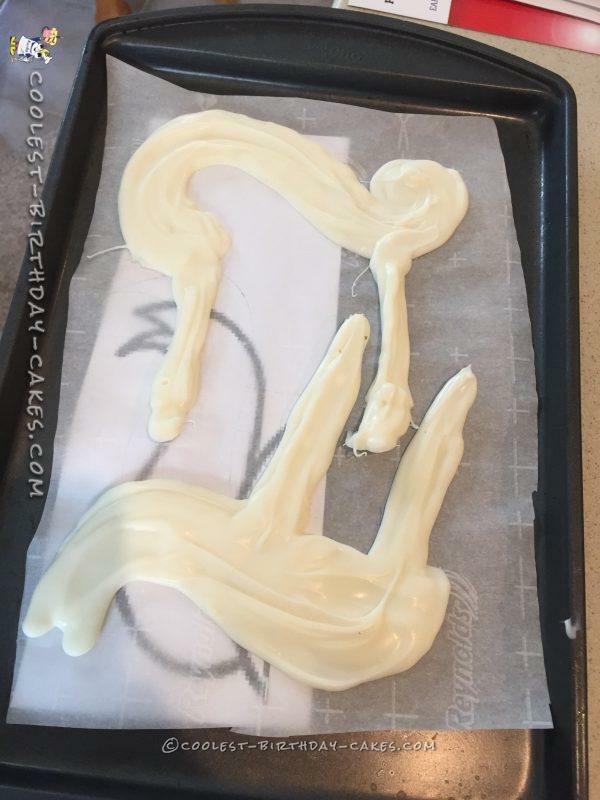 After melting wilton candy melts and pouring them into a piping bag, I traced the handle and spout. I added extra “prongs” to allow for insertion into the cake. I froze these pieces before poking them into the cake. I used a gourmet lollipop for the handle topper. I piped on some green swirls and added Wilton cake flowers for decor. The tea party guests went crazy over the cake. I was glad it turned out so easy and I was thankful I didn’t have to mess with fondant.